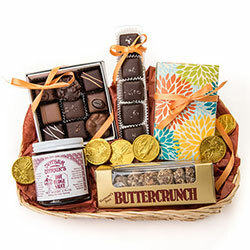 Perfect for celebration! 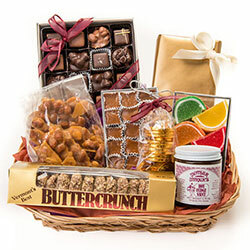 When you can't decide what to send to the family, the office or your colleagues, we offer beautiful presentations of our most popular products. 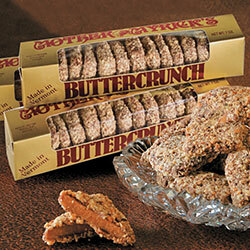 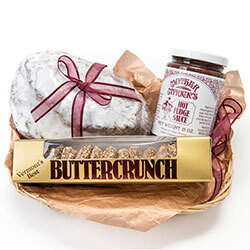 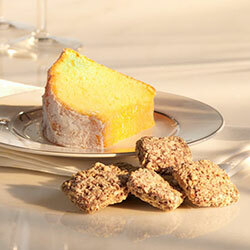 Choose from our best selling Buttercrunch value packs or our spectacular gift baskets. 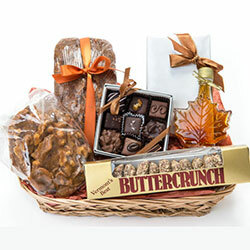 Baskets are available October through April.